The beloved little girl who attends boarding school in Paris, France comes to life in Madeline's Christmas. Family Theatre presents the ever popular Madeline in the musical Madeline's Christmas. Tickets may be purchased online by going to www.familytheatre.org or by calling 706-431-3752. It's Christmas time for a trip home, but when all the students but Madeline come down with a bad cold, it looks like they will have to stay at the school for the holiday. With magic and music, the girls find a way home to celebrate the holiday. 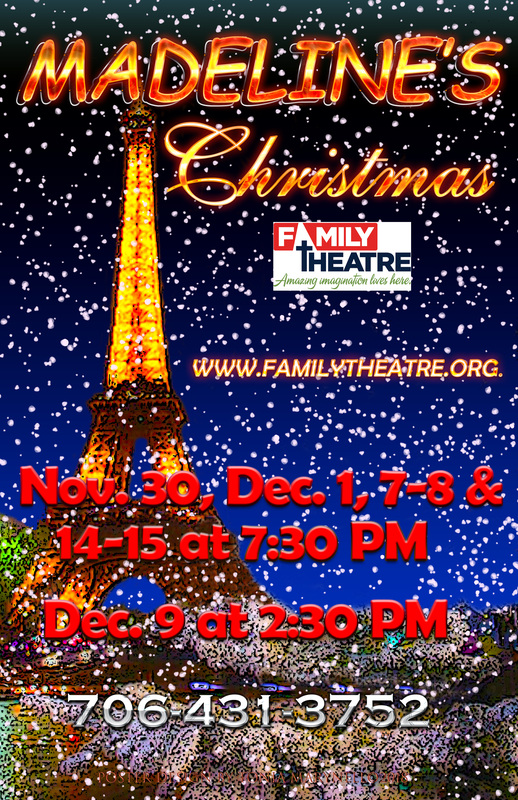 Madeline's Christmas is sure to delight audiences of all ages. Family Theatre is located in the Theatre Annex at Rose Hill Baptist Church 2100 Hamilton Road. Box office opens at 6:30 p.m.